"THERE is nothing useless or merely ornamental in Nature. She has no forces which are not at the service of man, nor is there any secret about the working of her laws into which he may not successfully inquire without presumption. No scientific research for truth is, in itself, a presumption; and in no case can its true course lead to ideas of infidelity, or to anything derogatory to the highest interests of man. Science has recently, with extraordinary success, provided lever, fulcrum, and power to raise civilization such as no other stage of its development has supplied. The first dark whispers of geology, being insuppressible, now I loudly attest the truth. The truths announced by Darwin stand boldly out as no mere insinuation can stand, while his side-lights of what seemed true, but are not have already vanished like a Will-o'-the-wisp. The works of great men in their laboratories, by the revelation of quondam secrets, have exalted truth as Moses raised the brazen serpent. Just as sure as there is any provision made for created beings, just as sure are the preservation, development, evolution and dominance of truth, by law, provided for; and no agent of progress has done more towards this highest evolution than science has with dry, hard, matter-of-fact revolutionary revelations." A fine treatise on the natural laws that govern human action and development. Mr. Sinclair touches deeply on the sixth sense well before this sense was recognized by conventional science. 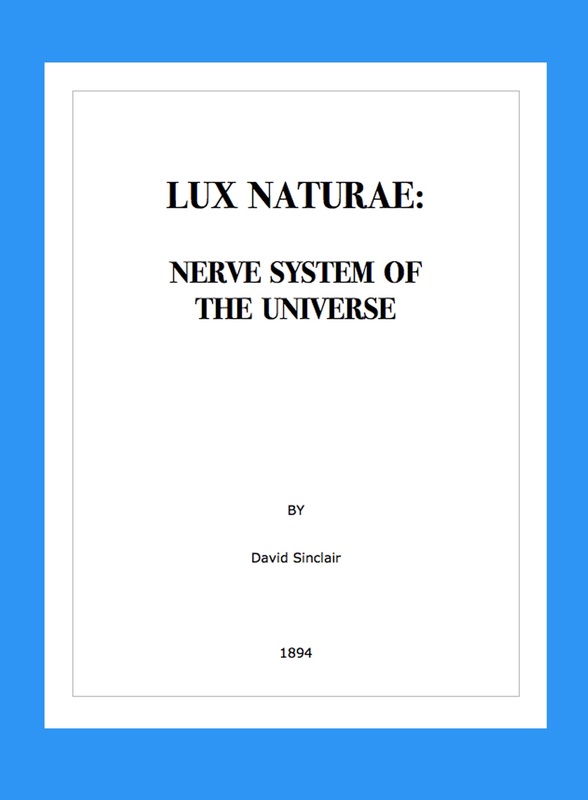 This force, the mind force, is the basis of Keely's work and manifests through sympathetic vibration into all things as Mr. Sinclair demonstrates. Perfect Binding. 8.5" X 11"